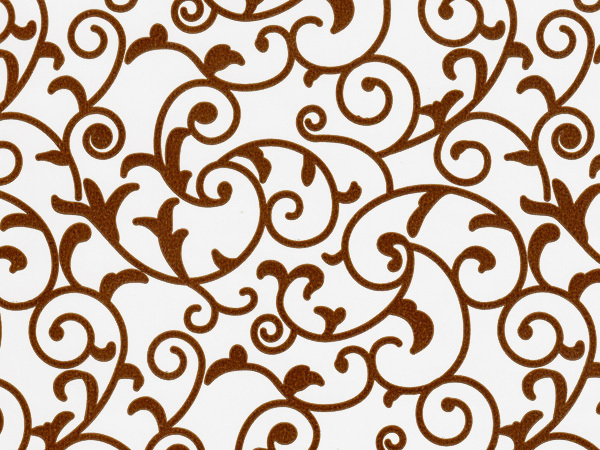 This gift wrap features a chocolate brown scroll pattern on a white background. Bulk wrapping paper roll measure 24"x85' and wraps on average 70 gifts. Made in the USA.